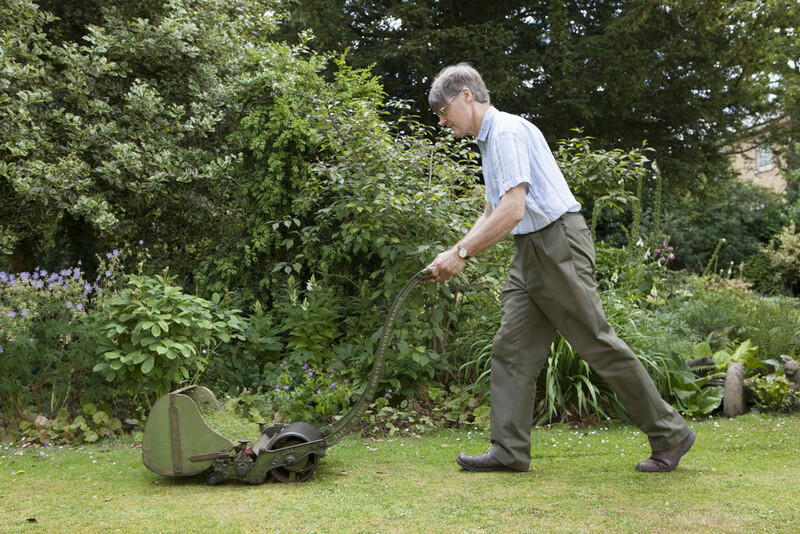 Christopher Proudfood guides a vintage lawnmower round his garden. Nearly 90 years old, it shows no sign of its age as its eight blades clip the tops of the grass. This is a Shanks' Ivanhoe mower, made in the 1930s. It is in good working order and Christopher uses it regularly to keep his lawn in good trim. A lawnmower collector, Christopher has lost count of how many he has. He thinks it is safe to say it is nearly 400. "My interest started when I was about seven and I found an abandoned lawnmower in the back of the shed. But I didn't start collecting until I had a huge garden to mow," he says. He keeps his models in their predominantly green and red livery, in sheds around his garden. They come in many different shapes and sizes, with some designed for specific tasks. 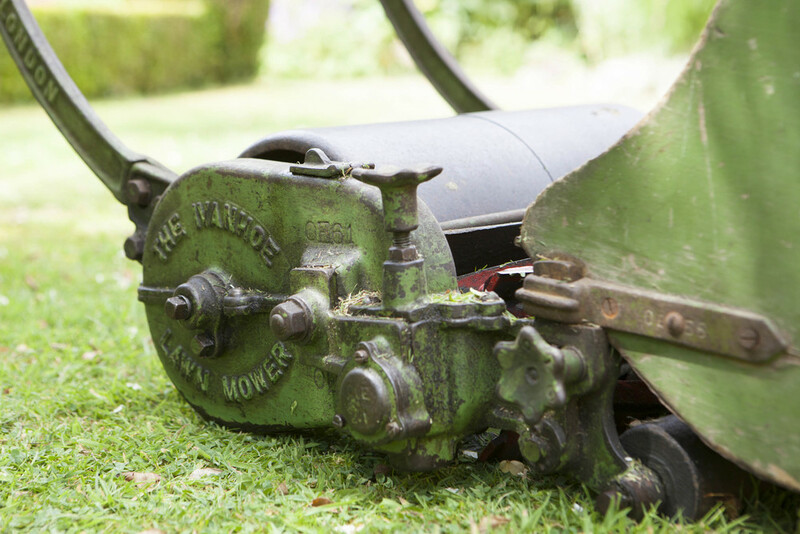 These include the Ransomes' Edge Trimmer which has a star-shaped set of blades at the side. His collection is restricted to models made or sold in Britain that were made before he was born. He has rescued mowers from nettle beds and skips. Most require some renovation, most of which he does himself. The full feature about Christopher and his vintage lawnmower collection originally appeared in the May / June 2016 issue of LandScape.